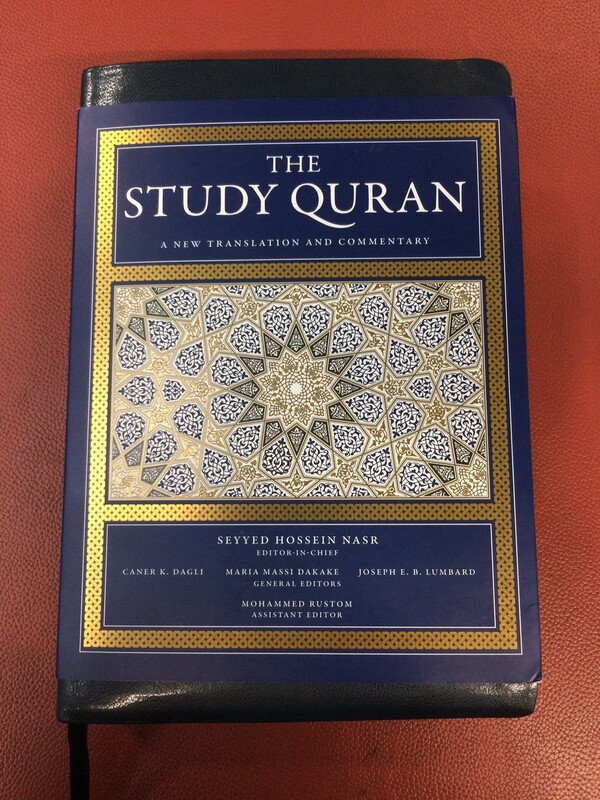 New College Library holds collections of and about a number of individuals who gathered material and wrote extensively on Judaism and Jewish Studies, motivated by their interest in the conversion of Jews to Christianity. Two significant figures in this area of interest are John ‘Rabbi’ Duncan and Adolph Saphir. 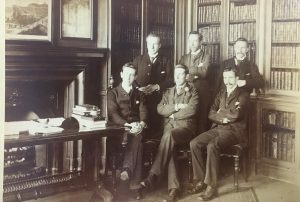 Duncan was a colourful, intelligent and, at times, tortured soul, one particularly gifted in the study of languages and in missionary work. Born in 1796, he obtained an MA from the University of Aberdeen in 1814. When he began his study of theology, he was still an atheist and did not convert to Christianity until 1826. Even thereafter, he had times of doubt before settling into firm belief. 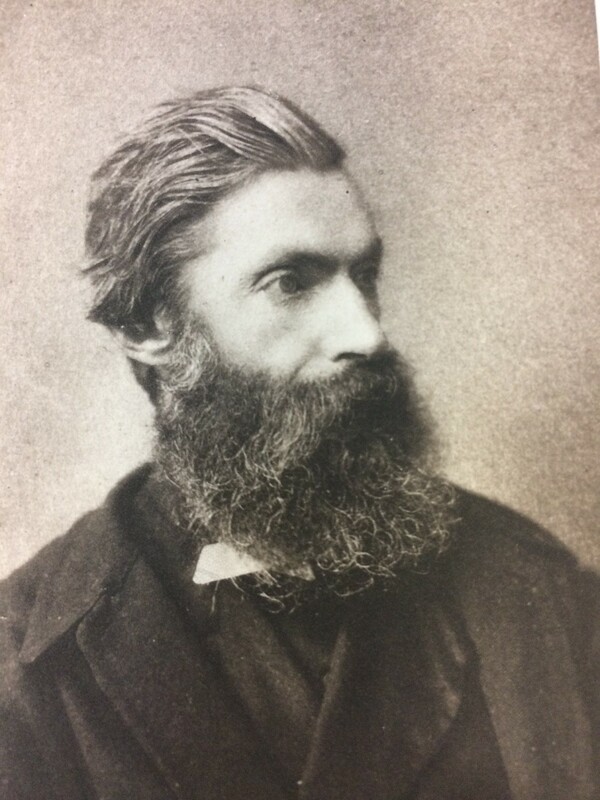 In 1840, having spent some years as an ordained minister, Duncan’s interest in Hebrew and his growing interest in the church’s work concerning the conversion of the Jews to Christianity led to his appointment as the Church of Scotland’s first missionary to the Jews. Stationed in Budapest from 1841-43, Duncan was remarkably successful in his work there converting, among others, the young Adolph Saphir and his family to the Christian faith. 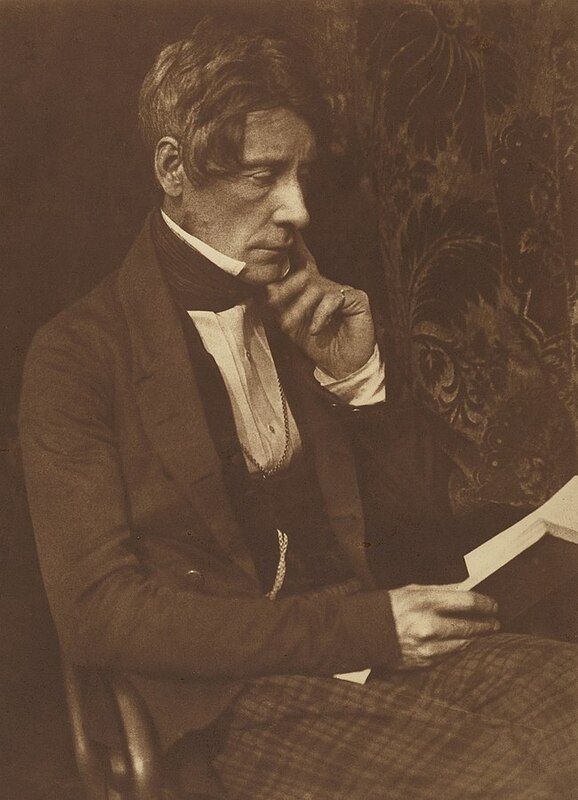 But in 1843, following The Disruption, Duncan’s calling took him back to Edinburgh where he held the chair of Hebrew and Oriental Languages at the newly-founded New College, remaining in post there until his death in 1870. Until recently, Duncan’s collection was not easily accessible but it can now be searched for online. 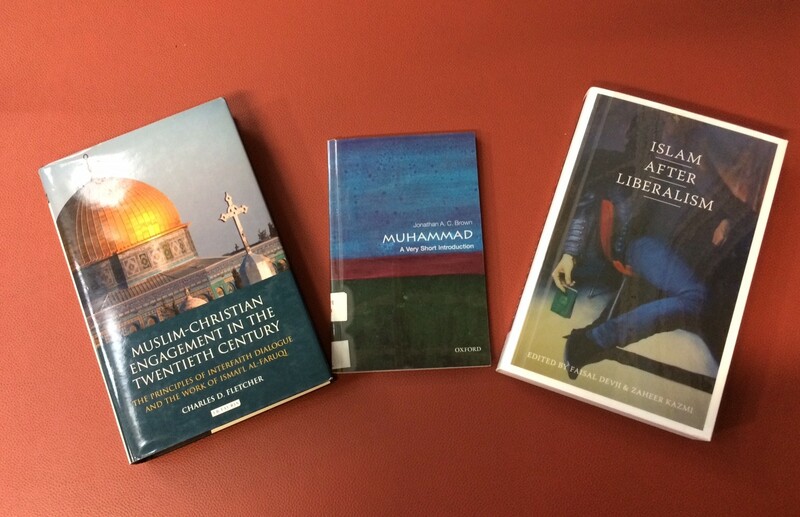 Resources by, about or owned by Duncan can be found in DiscoverEd and also via this resource list compiled by Academic Support Librarian, Christine Love-Rodgers. In 1843, one of Duncan’s converts, 13-year-old Adolph Saphir, came with him to Edinburgh from Budapest, his father being keen that the young Adolph improve his English and train as a minister of the Free Church. This process took some time and saw Saphir travel to Berlin, Glasgow and Aberdeen, becoming a student of theology at the Free Church College, Edinburgh in 1851. In 1854, Saphir, himself a Jewish convert, was appointed a missionary to the Jews. Saphir’s mission took him first to Hamburg and then, in 1856, to South Shields. Five years later, he moved to London where he remained until his death in 1891. Adolph Saphir – photograph by T. Roger, Swan Electric Engraving Co. 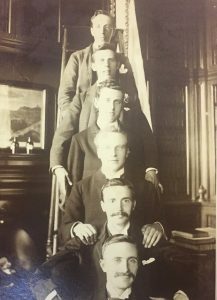 Despite Duncan’s inner battles of the spirit and his lack of prowess as a formal teacher, his personal piety, linguistic and informal teaching abilities, as well as his success as a missionary, were impressive. 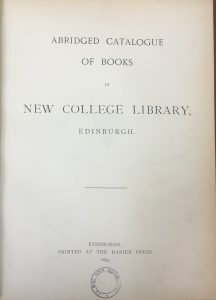 Saphir and he contributed significantly to the collection of items in New College Library, particularly with reference to the Christian mission to the Jews during the 19th century. Their legacy is to the ongoing benefit of scholars of Judaism and Jewish Studies. 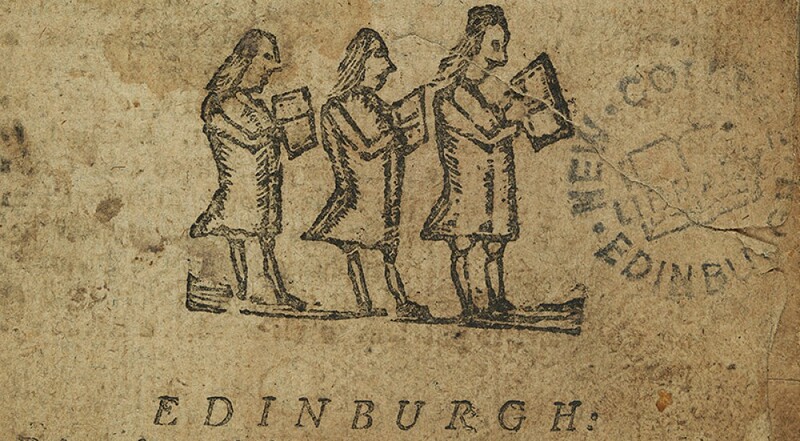 A small exhibition of some of our Duncan and Saphir material will run from 26th February-31st March 2019 in New College Library. Mighty in the Scriptures: a memoir of Adolph Saphir, D.D./by Gavin Carlyle. J.F. Shaw and Co.; 1893. Gina Headden, IS Helpdesk Assistant, New College Library and Christine Love-Rodgers, Academic Support Librarian, School of Divinity, New College. 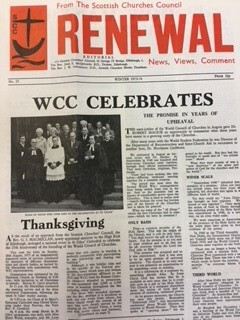 With many thanks to Jessica Wilkinson from the School of Divinity who contributed so much to identifying and listing the relevant New College Library collections. 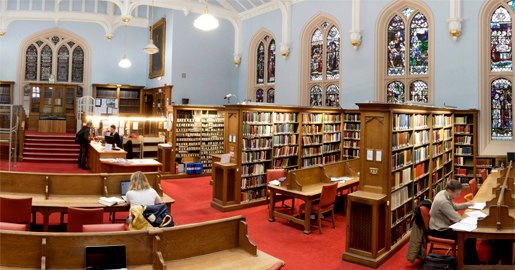 Welcome to all new and returning staff and students from New College Library at the beginning of the academic year. We’re looking forward to meeting you. To help you get started with Library & IT services at the University, check out this Get Connected to the University page. Don’t forget to collect your University card from the Main Library in George Square. 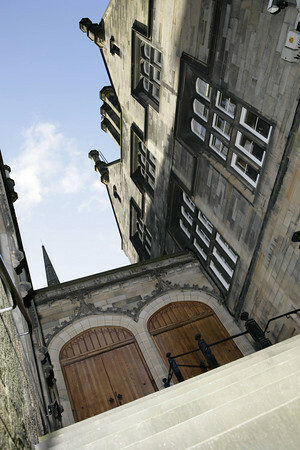 You can find out more about New College Library at http://www.ed.ac.uk/is/new-college-library and about library resources for Divinity at : http://www.ed.ac.uk/is/subject-guides-divinity. 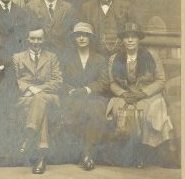 I’ll be running library tours that are open to all UG and PG students on Wednesday 19 September at 1.15pm and on Wednesday 26 September at 1.15pm. If you’d like a library tour or introductory meeting and these dates don’t suit you, please do get in touch with me to make other arrangements. 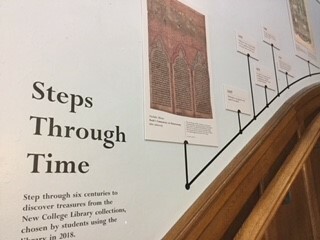 Steps Though Time is a project to create a timeline of six display panels to be mounted up the steps into New College Library. 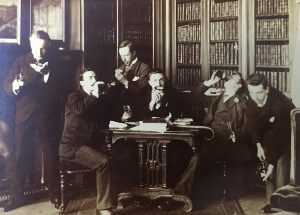 This will tell the unique story of New College Library through images of six treasures selected from the library’s rare book, archive and object collections. 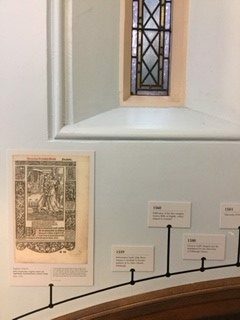 These images will be set against a timeline of Scottish religious history with an Edinburgh focus. 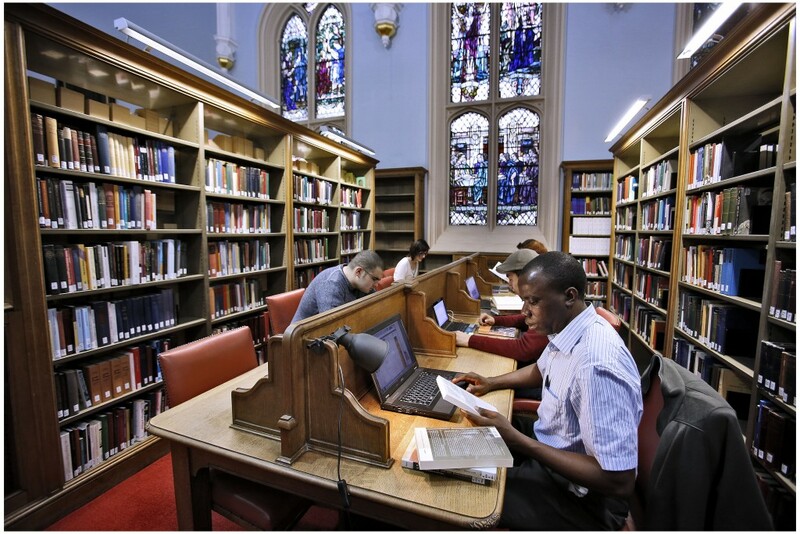 New College Library’s opening hours are being extended for a trial period. The Library continues to be open on a Sunday afternoon, 12-5pm throughout this semester. From 9 April to 24 May 2018, New College Library will be open until 10pm in the evening, Monday to Thursday.